If you visit Budapest as a tourist a couple of dos and don’ts tips may come in handy. Budapest is a relatively big city with about 2 million people. You need to act with the normal ‘BIG-city’ caution (New York, Rio, Tokyo, right). Do not leave your bag unattended, unzipped. Keep your wallet / purse in a safe place. Do not wave bank notes. Don’t take much money with you (neither for walks nor for a spa bath) and keep your bag under your arm in public transport vehicles (as well as escalators). Keep your credit card and wallet in different places. 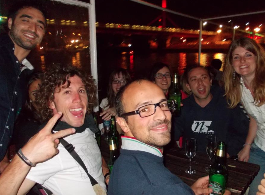 Go and enjoy Budapest night life, but before plunging in a party, make sure to have friendly people with you- Ideally, not just friendly, but possibly friends or local acquaintances who you can trust. Check out the night transportation (night owl bus or taxi) opportunities before going out, so that you can still go home safe and sound even if you happen to get ‘chemically inconvenienced’ or just sleepy. For reliable Budapest taxis, use this list (taxis will arrive in about 5-10 minutes). Trust your instincts: if you have a bad feeling about some faces, places, leave. Do not go to unlit dark streets. Avoid dangerous Budapest night clubs, which have been regularly reported of intimidating and ripping off visitors. Vaci street is a nice shopping street, but it is a real threat to night club goers. Now, the good news is that Budapest, compared to its size, is quite safe, serious assault crime rates are relatively low. You will be seeing people walking confidently alone or in pairs even late at night. The downtown areas, where most tourists would be expected (around Deak square) are busy and quite safe. For further safety warnings, check out what the US Embassy says about Hungary. car theft (don’t leave anything of value in the car, especially not in the seat in a highly visible place). Luckily none of these are life-threatening but they could still be very unpleasant. What should you do if you got into problem in Budapest? 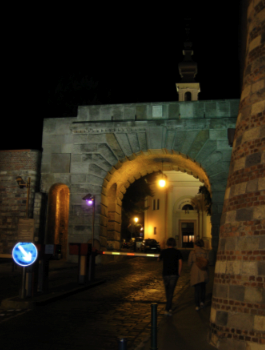 Read how to get nonstop help in Budapest, Hungary. Contact the Hungarian Police – police officer in sight in the street (hopefully (s)he will be supportive and can speak proper English), and / or via phone. Problem: the police may not clearly understand what your problem is (especially if the English language is a foreign language for both you as a visitor and the police in Hungary). Besides, the Hungarian policemen may run into similar problems to yours by the dozen a week, so they will not take it to their heart so much as your embassy people. Contact he Tourist Help line immediately, call +36-1-438-8080: this is the number one official help channel, and you will surely get an English speaking support who will help you find the nearest police station and help you how to report to the police . Contact your embassy as soon as possible. They can speak your language for sure, so you can describe your problem with all the subtleties needed. Your embassy will take your matters very seriously, and will instantly provide you with a safety net of ‘getting protection’. The embassy (just like you) will also contact the police on behalf of you. They will have experience with the local police, and they may be able to provide a better translation of your case. As for the number, +36-1-438-8080: the ‘+’ sign or zero-zero means you initiate an international call (not needed if you call from a Hungarian phone) , 36 is Hungary’s country code (if you call from a Hungarian phone, you need to dial the two digit 06 instead of +36 before the Budapest phone number), number ‘1’ is the regional code of Budapest city, after that comes the actual phone number. Foreign victims of crimes (scams, pick pocketing, overcharging, car thefts) in Hungary must report their incidents to the police. 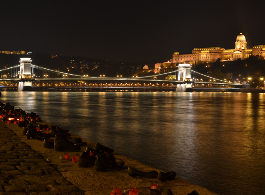 The Hungarian National Tourist Office has a special, day and night phone number for tourists (+36-1-438-8080) – you can get into contact with an English speaking staff member immediately to give help on how you can file a report to the police, and they will also help you to find the nearest police station.